Enjoy the sparkle and brilliance of this Baguette and round diamond full eternity ring. 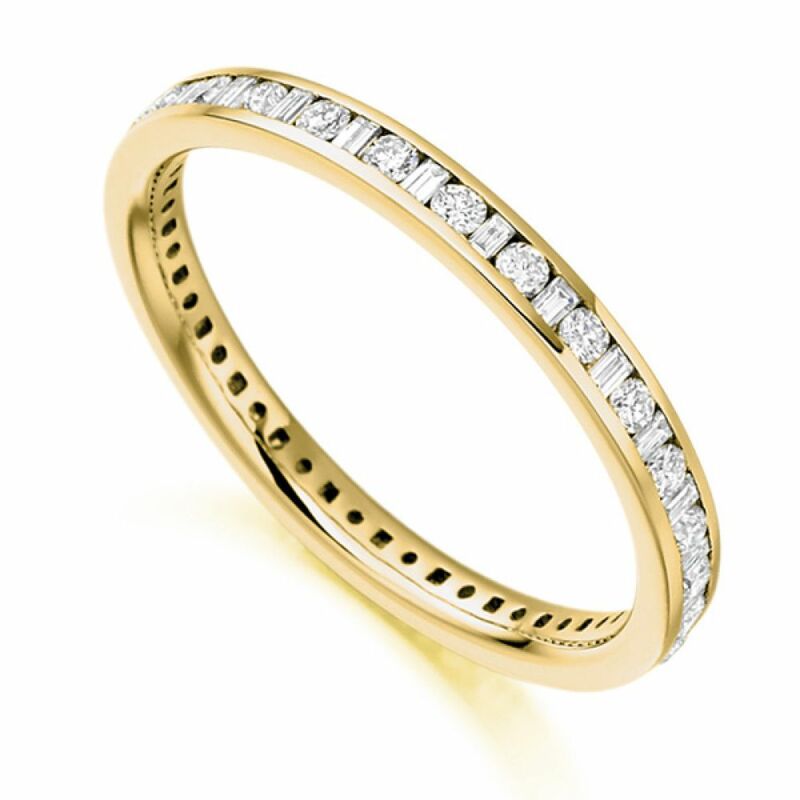 Suitable as a full eternity ring or full diamond wedding ring, this elegant design features a full channel setting, available in a choice of precious metals including Platinum, White Gold, Yellow Gold, Rose Gold and Palladium. Delightfully crafted, enjoy a sparkling combination of both Round Brilliant-cut Diamonds alternating with Baguette-cut Diamonds. Perfectly finished, this dazzling half carat Baguette and Round Brilliant Diamond Eternity Ring is precision set with a suite of natural Diamonds. Achieving 0.50 carats, each Diamond is channel set into a 2.25mm wide comfort-fit band available in a choice of precious metals. Choose from 18ct White or Yellow Gold, Rose Gold, Platinum or Palladium. Each Diamond meets strict F-G whiteness and VS Clarity grading standards, crafted under the care of the Raphael Collection of Diamond Eternity Rings. Please allow 4 weeks for this beautiful Diamond ring design to be completed before it arrives elegantly boxed and beautifully packaged. 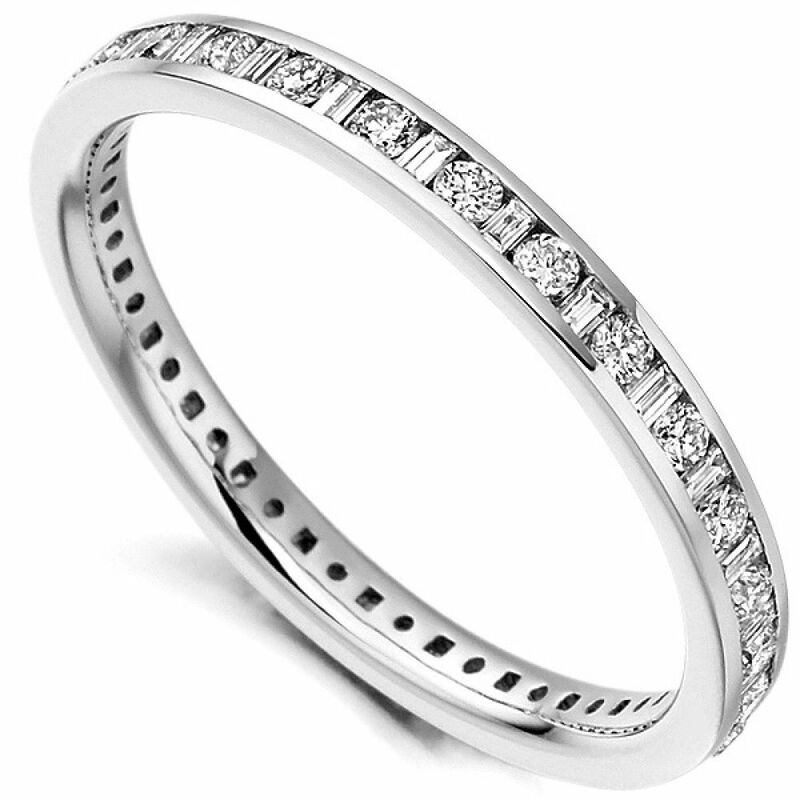 Please contact us with any questions about this design or any other styles in our diamond eternity ring collection.